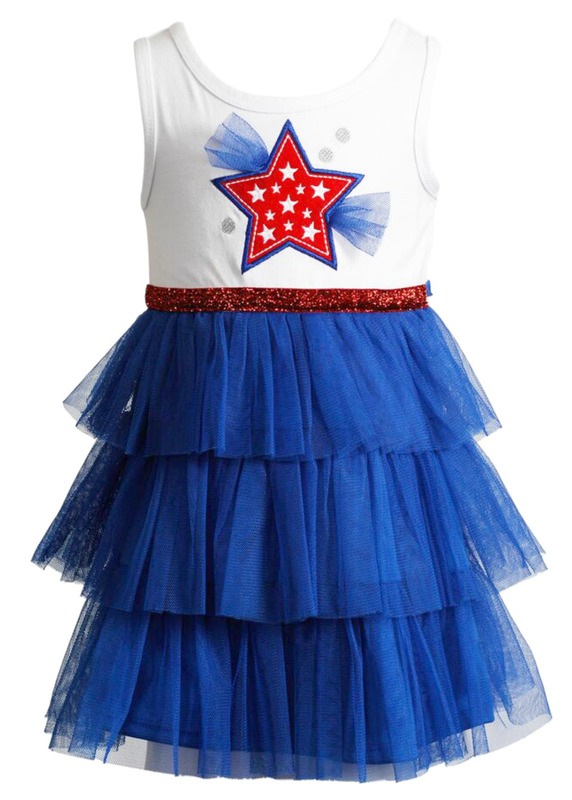 Precious girls patriotic star party or pageant tutu dress features white knit bodice, star applique and royal blue tulle layers. Gorgeous! Machine wash. Imported.